Hayao Miyazaki’s latest film has sparked heated debate. 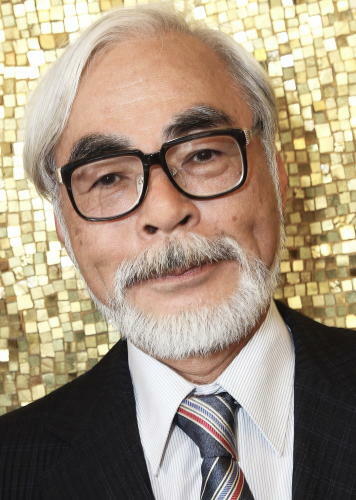 Lauded animation director Hayao Miyazaki’s latest offering Kaze Tachinu (The Wind Rises) opened in theaters across Japan last month, earning $9.6 million in two days – the nation’s biggest opening so far this year. Perhaps this should not surprise. The Hollywood Reporter notes that three of Japan’s all-time top-five grossing films at the box office were helmed by the maestro. As of last Thursday, the film had earned $57 million. But there are a few aspects that distinguish this film from the rest of Miyazaki’s oeuvre. For one, while most of the director’s gems have attracted a young audience, his latest has drawn a more mature crowd. A second distinction: this film is decidedly more realistic than standard Miyazaki fair. Kaze Tachinu combines the real life stories of Jiro Horikoshi, the man who designed Japan’s iconic WWII Zero fighter plane, and novelist Tatsuo Hori, who lived during the same period and penned a tome called Kaze Tachinu. Miyazaki creatively interweaves their stories to explore the theme of following one’s purpose in life against the backdrop of tumultuous historical events. The film’s trailer, with English subtitles, was just released this week. It can be viewed here. The timing of this artistic statement was not accidental, amid debate to potentially replace Article 9 of Japan’s Constitution, which renounces war. And the director did not stop with speaking his mind in the film. Miyazaki is no stranger to opposition, nor is he afraid to stand his ground. Many of his past films have dealt with heated subject matter, including Princess Mononoke, which brings humanity to task for our treatment of the environment. When Hollywood mogul Harvey Weinstein approached legendary animation filmmaker Hayao Miyazaki about making cuts to his now classic 1997 film Princess Mononoke in preparation for a planned U.S. release, the Japanese master purportedly had two words for him: “No cuts.” The message was delivered to Weinstein by the film's producer along with a samurai sword in the post. Kaze Tachinu will be the lauded Japanese director’s last feature length film.